In 2007 the Army had missed its recruiting goal for two months and there were some forecasting the Army would miss it for the year. The Army would meet the goal however the quality of Soldiers was not as high as desired. In 2008 the Army would again meet its goal while also improving quality, but it was a change in strategy emphasizing the use of the web that would result in 2009 exceeding its goals, meeting quality goals and being positioned with 43% of contracts for FY10 already complete. As a result of changes to the marketing effort the Army was able to reduce the budget for FY10 to approximately $210M. 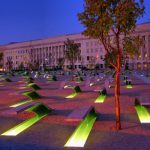 This was all done during a time of war and with a requirement from Congress to increase the size of the Army…a goal that was reached two years early! In addition, a June 2009 Gallop report showed an increase in America’s confidence in the military which was aided by our campaign. The Army was engaged in the longest war since the creation of an all-volunteer force. The popularity for the war was declining and influencers were taking a more active role in discouraging youth from joining the military. The annual enlisted recruiting goal for active and reserve was 106,500 Soldiers during both FY08 and FY09 due to a requirement from Congress to increase the size of the Army. The campaign lacked integration across advertising, digital and outreach divisions. Although our prospects were mostly online, the digital presence was not meeting their expectations. The Army was failing to connect with our desired audience. Our outreach events were more about the sport we sponsored than about experiencing the Army. The Army had a separate agency for Licensing but was failing to take full advantage of it. In 2007 the percentage of those joining the Army who had family who had or were serving spiked to as much as 5 times the national average. The information was determined from surveys given to new recruits as they arrived at basic training. 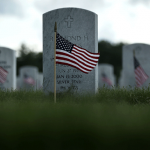 With deeper analysis we determined that our messaging was not reaching our desired audience and that those who did not know someone who had served in the Army were more likely to reject service based on incorrect information. 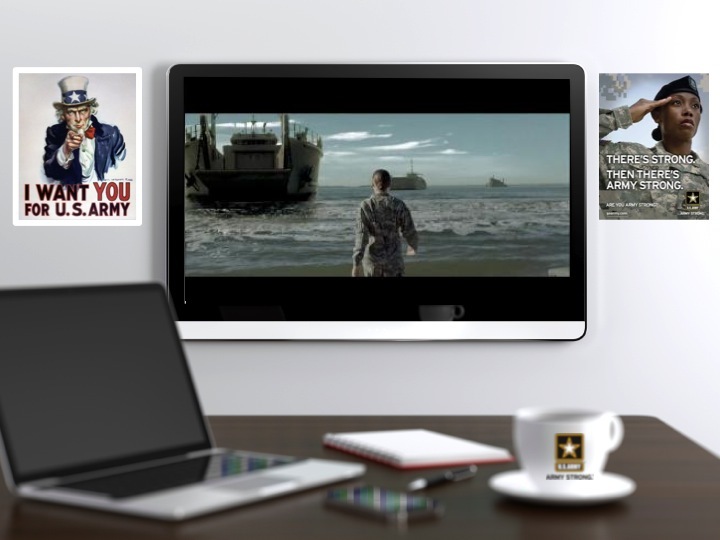 The Army needed a new brand strategy that included dramatic changes to our website and development of a social media program to connect America with our Soldiers so people could learn first hand what it was like to serve in the Army. In addition to the challenges listed on the previous page, the biggest challenge in my mind was brand confusion. 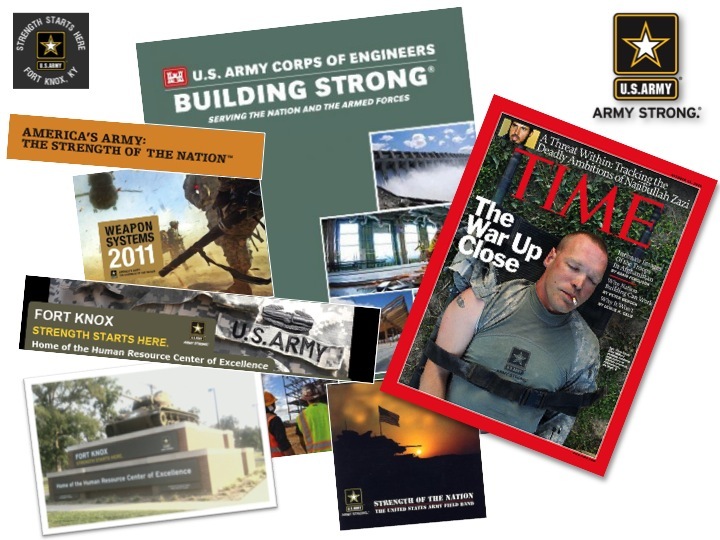 In 2007 if you were to ask a Soldier about Army Strong they would have told you “it’s just a recruiting slogan.” All our research showed prospects didn’t believe our marketing material alone. Other research showed that many choosing not to join the Army were doing so based on misconceptions about the Army. Through personal travels it became apparent that each time I was able to personally engage with someone who hadn’t served in the Army or had a close family member or friend who had either, their perception about the Army changed at the end of the conversation. This lead to a decision to get our program into social media. Based on the research mentioned above and the decision to enter into social media we knew that the information we published had to be authentic and verifiable. We were at war, we couldn’t avoid the issue, we had to address it head on. We needed to make sure that Soldiers could tell in their own words what it means to be Army Strong. Information found on our “competitor” websites (military.com, army.com, etc sell leads to the Army) needed to be the same as what we presented. 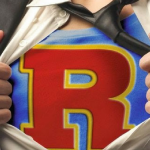 If there was a difference it caused prospects to question the accuracy of our information. Finally, one big element of our effort that I felt needed to change, we had to stop acting like we weren’t an Army at War. 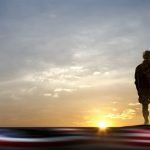 We needed to be seen as more authentic in our marketing effort by depicting deployed Soldiers in our marketing material and television commercials. As I was leaving the Army the Time magazine shown above was being published. It showed a uniform with the Army Strong logo on it. Next the Army began using the same branding scheme we adopted for our marketing products for use at all our military posts. 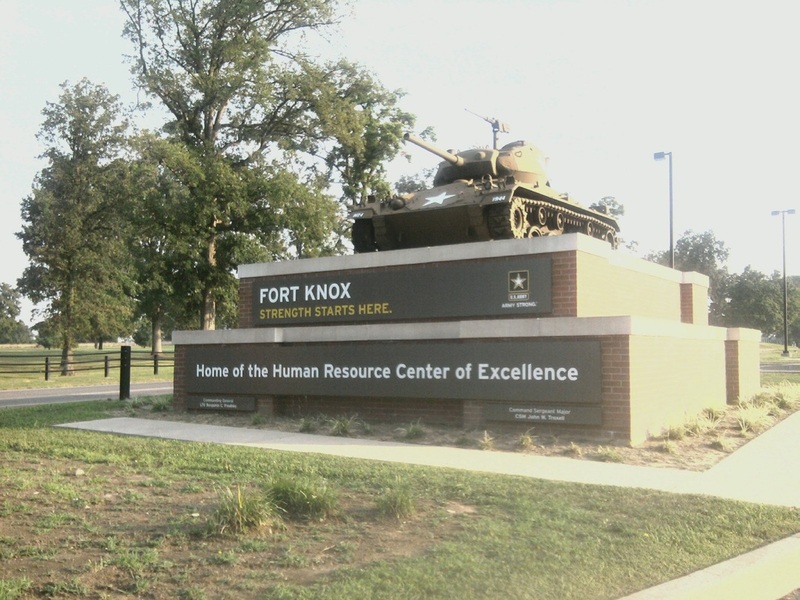 Fort Knox, the Army’s new Human Resources Center of Excellence, adopted the slogan “Strength Starts Here.” The branding even appears on the monument at the main entrance. 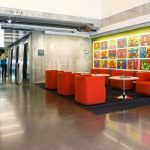 The Army Corps of Engineers slogan is “Building Strong.” If the Army can do it…any organization can have an employer branding strategy just like it! For more on the program including projects in 2009 visit the other tabs in this section. * Goal at beginning of the FY was 78,000 (Active) and 26,500 (Reserve) but was reduced in March 2009. Delayed entry pool % based on these goals and not reduced numbers. 7 out of 10 youths who are between the ages of 18 and 24 don’t meet the minimum requirements to join the Army? See the USA Today article that discussed these challenges.